Description: Shell moderately wide, spire straight-sided. 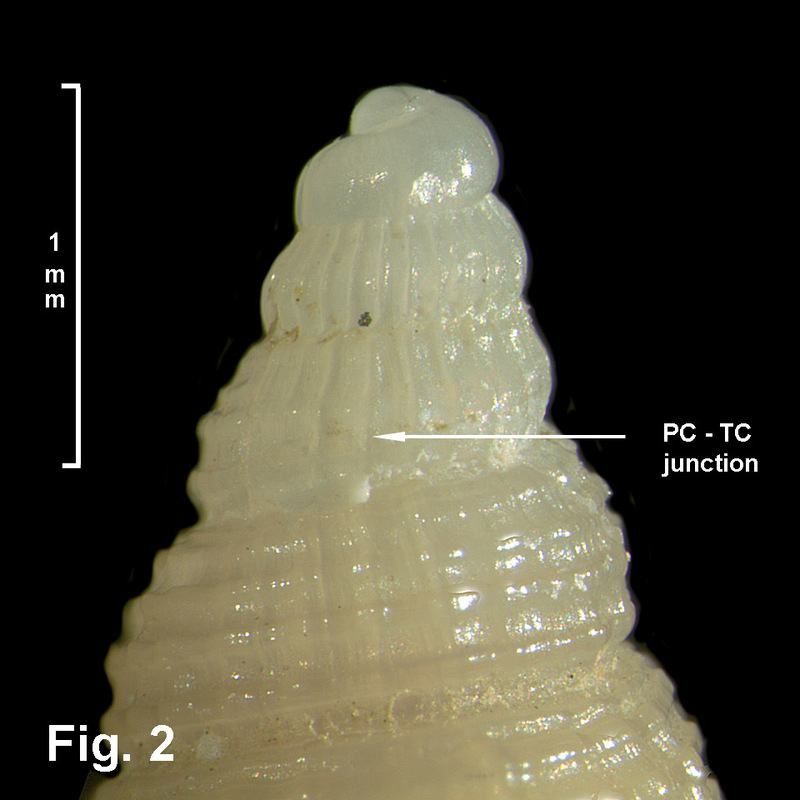 Protoconch of 2¾ whorls, first ¾ whorl smooth, rest with strong axial folds. Teleoconch whorls rounded, sculptured with about 6 spiral cords, the uppermost 2 or 3 thinner, spirals becoming more numerous on last whorl. Axial folds present after upper two spirals, forming spirally elongate nodules at intersections with spirals. Last whorl greatly expanded over final one-third of whorl. Aperture nearly circular, outer lip flared, smooth internally; inner lip flared; anterior canal moderately long, tubular and deep. Protoconch white, teleoconch translucent fawn, becoming opaque with age, with thin periostracum, usually worn away. Size: Up to 15 mm in length. Distribution: Endemic to Australia: Cape Moreton, Qld, southwards to Bass Strait and northern Tas. 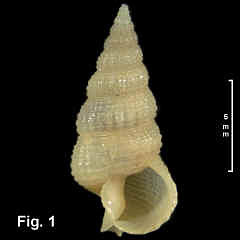 Habitat: Subtidal; empty shells from 0–150 m, living specimens 40–70 m. Moderately common. Comparison: This species is on average wider than A. serotinum. The upper two spirals on each whorl are weak, but strongly nodulose in A. serotinum. 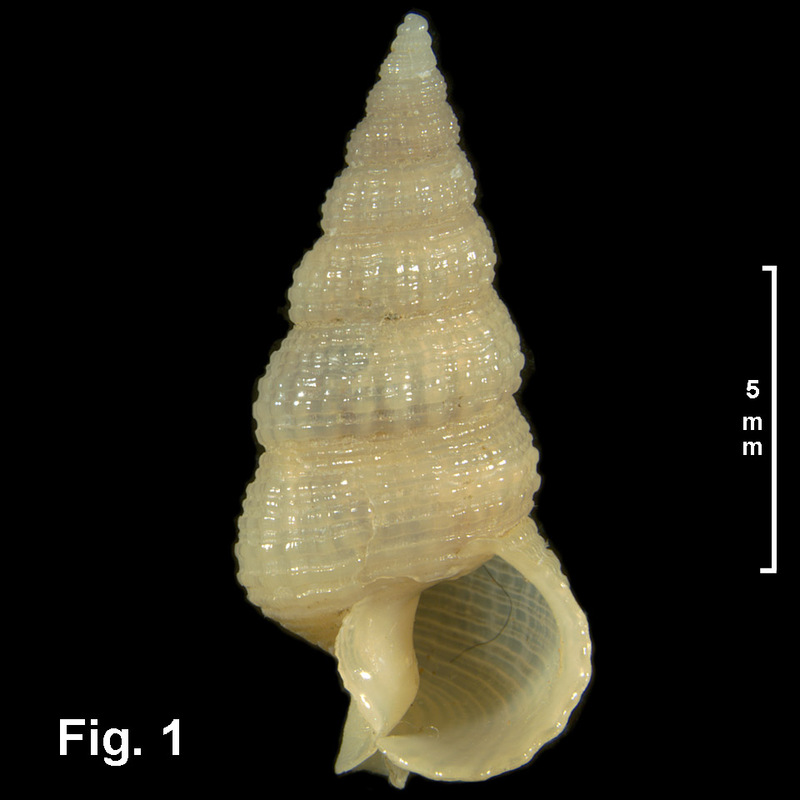 The most constant difference is in the protoconch — whiite in A. applenum, brown in A. serotinum.